The outdoor elements certainly took its toll on this poor floor. Saltillo tile is made from clay only found in Saltillo, Mexico, and is extremely porous. It can be easily stained and damaged without a protective sealer. This floor was also afflicted with a chalky, white residue called efflorescence. 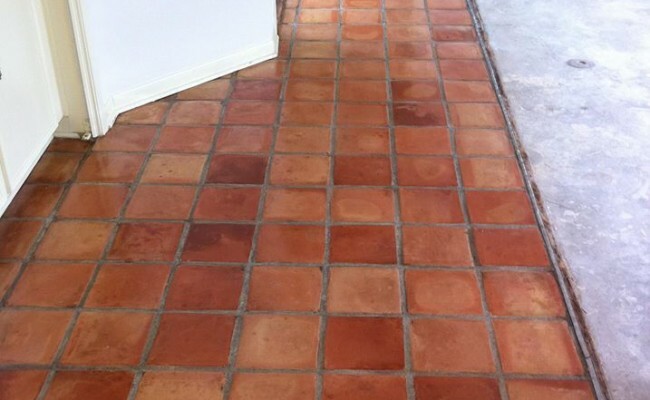 The experts at StoneWood Hard Surface Cleaning & Restoration stripped away what was left of the old sealer, then professionally cleaned the saltillo tile and grout. 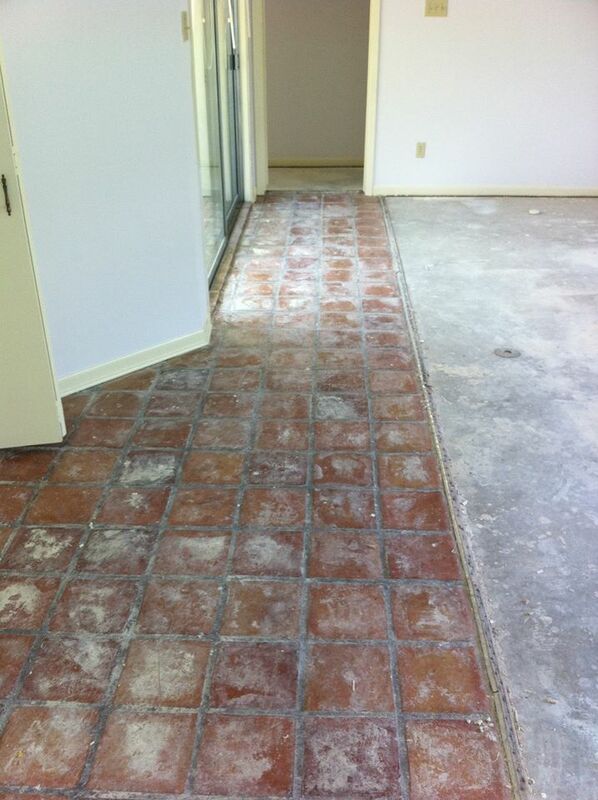 Then we applied an impregnating sealer which brought back the natural look of the tile. 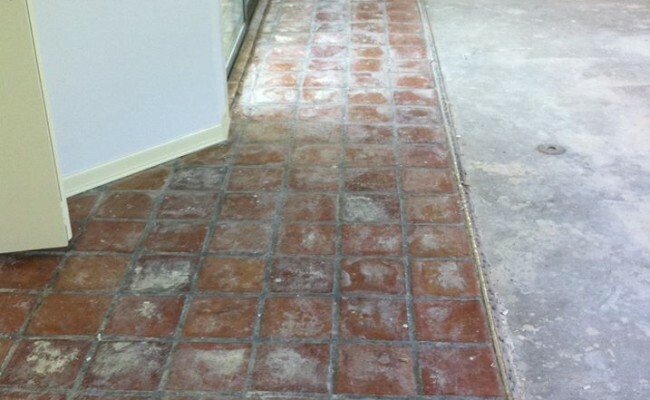 The sealer helps protect the tile from foot traffic and weather damage. What a dramatic difference in these before and after pictures! 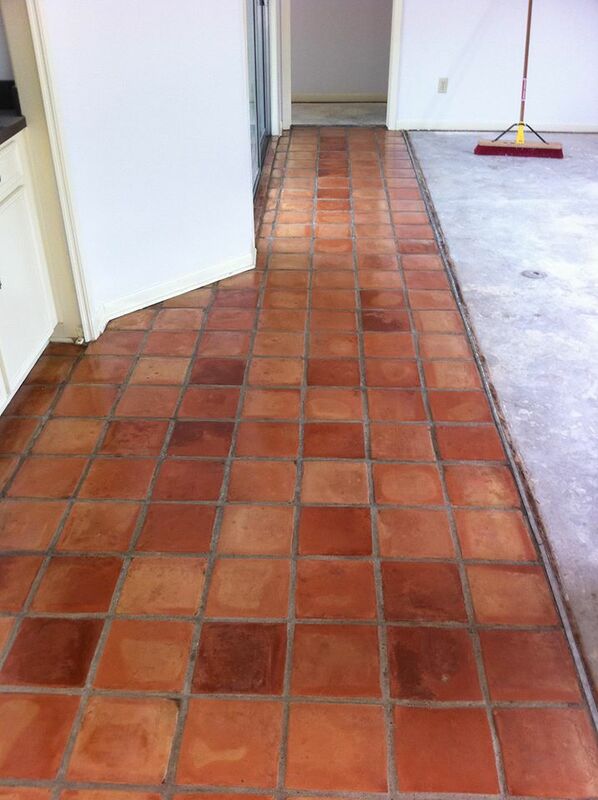 Does your saltillo tile need a makeover? We provide expert restoration services throughout the Houston area. Contact us today! StoneWood Hard Surface Cleaning and Restoration is a proud and Certified Stone and Tile PRO Partner.